We’re Live! Chuck says he is having one of those weeks that makes him want to be a pig farmer. Chuck talks about his sponsors not paying him on time. John jokes that Chuck is going to burn down the building. Chuck continues with how these companies are promising to pay in 45 days, but no show. Chuck says he understands that this is a process. John and Chuck agree on a paying upfront policy. John talks about sticking to what was agreed upon as far as due payment. John jokes to put up an ad that out the issues of nonpayment from the sponsor. Mani asks about book sales. As Chuck goes into having issues with PayPal restricting his account, but he cannot pull money out from the book sales. Chuck talk about talking to Richard at .NetRocks. Mani suggests not using PayPal and switch to Strip to receive payments. Mani jokes about running an ‘I cannot buy my lunch’ sale. John talks more about using this injustice as a marketing strategy. Mani ask is the course is for sale now. Chuck mentions that it is on sales for 500 dollars as of now. Mani asks about some analytics on the current sale. Josh and Mani suggests an urgency strategy for the course and using a timer on the sales page. Josh and Mani give other kinds of suggestion for the sales and marketing strategies. Mani suggests writing up 4 marketing emails for revamping the sales of the course. Mani asks about Simple Programmers sales on Plural Sight. Josh gives some analytics and numbers on the sales. Josh says it is about 18k in sales. Josh talks about the issues with the commission and discount offer. Josh talks about the 45k sales last year. And Josh says their attitude is what have you done for me lately. Josh says John’s numbers are still pushing in sales at Plural Sight. Mani talks about the tier of commissions according to a Robert Farrington. Josh continues to talk about the clicks and conversions of the material on Plural Sight. Josh and John talk about the EPC target. John suggests working backward to figure out how to meet the EPC. John talks more about the complexity of the sales. Josh talks about experimenting with a waitlist. Mani and John talk about the traffic direction, click and marketing with courses on Simple Programmer. John asks Josh talk offering their own discount to up the sales. Josh think it has to be beyond 25% to make it worth it. Josh talks about the sales on the membership. Josh talks about Jonathan Stark’s book called The Freelancers Roadmap and how he is using this as a bonus to the sales they’re doing. Josh talks about a plugin to setup authors call WooCommerce Authors. Chuck talks about how he is using the WooCommerce site. Chuck ask about how to set up the author plugin as far as getting people on the site. Mani and Josh discuss marketing and writing copy for courses, rather they are martial arts or developer material. Josh talks about the skill of building out the course. Josh talks about doing a 21-day course but did not work, then they switch to interviews on webinars. Josh talks more about working with Jason on building courses. Josh continues to talk about the process of marketing courses on books or videos. More on the complexities of launching courses. Chuck says he likes to idea of hiring someone for their skills to build a course. Chuck talks about how he could do this with one of the developers. Josh talk about his idea with this upcoming course with coding and technical material. Josh talks about this as a review type course to prepare for coding. John talks about signing up for another marathon but he got sick. Mani suggests chewing garlic to help with a cough. Josh asks about the Thrive convention. John says is it wipeout from running. John asks if they notice the merge with Create Space and Kindle. Which could help with sales on their book. Mani ask about John’s book Bulldog Mindset. EntreProgrammer talk about the publishing companies. 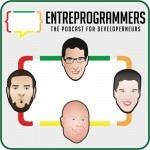 Josh and John talk about Novel Rink that pulls Amazon API and how it is being shut down. EntreProgrammers talks about how this is similar to people running Facebook ads and such. Mani talks about how it is short-lived as people are trying to build businesses off of a social media platform. Mani says like Alex Jones. John says Alex would be able to write a book. Josh says Alex is still very diversified with several places to pull his material. Josh said he did have the opportunity to get into the Prepper niche. Josh talks about how Google controls 80% of their email list. So they are done if they get in trouble with them. Mani talks about Alex Jones traffic numbers.